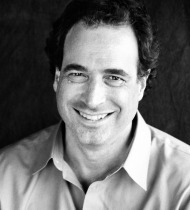 Michael H. Shuman is an economist, attorney, author, and entrepreneur, and a leading visionary on community economics. He’s Director of Local Economy Programs for Telesis Corporation, a nonprofit affordable housing company, and currently an adjunct instructor at Bard Business School in New York City and at Simon Fraser University in Vancouver. He’s also a Fellow at Cutting Edge Capital and at the Post-Carbon Institute, and a founding board member of the Business Alliance for Local Living Economies (BALLE). He is credited with being one of the architects of the 2012 JOBS Act and dozens of state laws overhauling securities regulation of crowdfunding. He has authored, coauthored, or edited nine books. His most recent book is The Local Economy Solution: How Innovative, Self-Financing Pollinator Enterprises Can Grow Jobs and Prosperity. One of his previous books, The Small Mart Revolution: How Local Businesses Are Beating the Global Competition (Berrett-Koehler, 2006), received as bronze prize from the Independent Publishers Association for best business book of 2006. A prolific speaker, Shuman has given an average of more than one invited talk per week, mostly to local governments and universities, for the past 30 years in nearly every U.S. state and more than a dozen countries. Economist Michael Shuman discusses “Pollinating” local business in Keene on WKBK radio. Post Carbon Fellow Michael Shuman tells how the local economy empower citizens. Michael Shuman on Resilient Local Economies Part 1 from Paul Bishop on Vimeo. Michael H. Shuman, author of Local Dollars, Local Sense presents “Delicious Development: The Powerful Role of Local Food in Job Creation” at the Sustainable Communities Workshop on October 29, 2014 in Sarasota, FL.